Sailing the Aegean on a small cruising ship, taking in the sun, the romance and the fun of life on board - what more could you want from your Greek Island Cruise? Vacationing on a yacht holds no more than fifty people; you have run of the small ship with its comfortable, elegant cabins, fully air conditioned and an en suite bathroom. Your luxury Greek cruise gives you time to relax, see exotic new places and enjoy life on board. This seven night, eight day cruise package takes you to the unseen beauty of Folegandros and Poliegos, the majesty of Santorini, cosmopolitan Mykonos. This cruise will take you swimming in pristine waters by unspoiled beaches, visiting archaeological sites and cultural areas and let you have the time of your life as you holiday in style on your Greek luxury cruise. This Small Ship Cruise operates on Galileo Motor Sail on the following Fridays. Do you want to plan something really special and unique for your wedding? Ask the details for the "Wedding & Cruise with friends and family" private charter for 40 to 72 guests. You will embark the yacht at Marina Zea, a port in the South of Athens. Embarkation is between two and three in the afternoon, where you will be met by the crew and shown to your cabin. This afternoon is your time to acquaint yourself with the boat, the crew and the other passengers. Your yacht, the Galileo, is a well appointed boat, equipped with a sun deck, outdoor bar, main deck and 26 guest cabins. 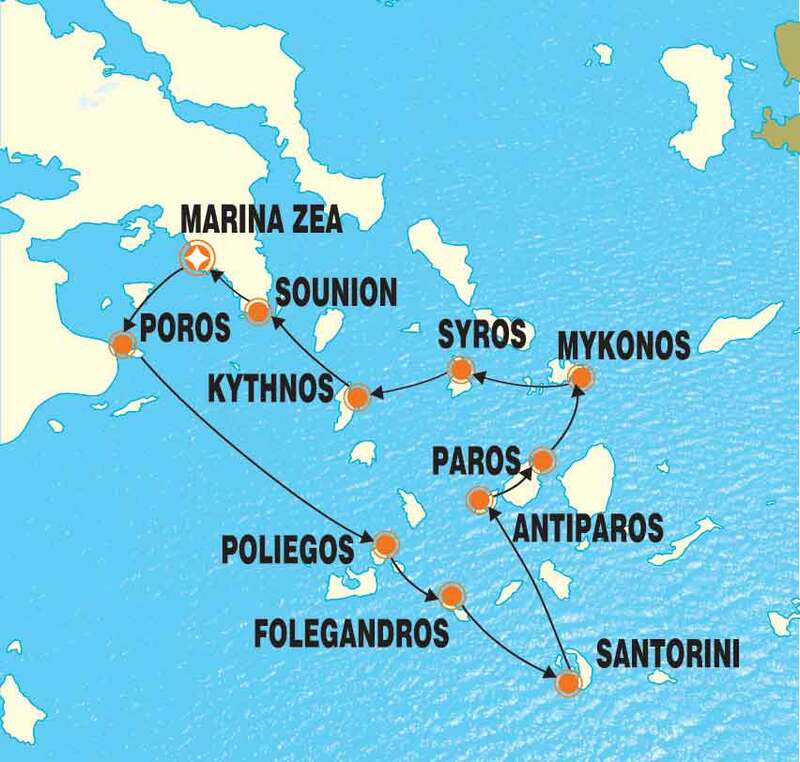 The boat will set sail for Poros, a small island in the Saronic Islands to the west of Athens. You will disembark at Poros for a three hour visit to this beautiful island to look around the town and its port. After the visit you will return to the boat for the overnight sailing to Poliegos in the south of the Cyclades. You will wake to the gentle motion of the boat, finding yourself in a completely different part of the Cyclades Islands. After breakfast you will arrive on the small island of Poliegos, known for its unblemished beaches and calm seas. The morning will have a stop for a relaxing swim before lunch on board of a barbeque on deck. Early in the afternoon you will make your way to the island of Folegandros, a little known but incredibly beautiful island to the west of Santorini. Docking at the main port in the afternoon, you will disembark and be taken to the Upper city to dine at a traditional Greek Taverna, returning to the night later in the evening. Overnight the boat will have made its way to the amazing island of Santorini - an ancient volcano, the cliffs once made the caldera of the volcano. On arrival you will be taken to the capital, Fira, to explore its ancient, winding streets. There is also the option to take a tour to a local winery, home to some of the best wines in Greece. For those with the lust for romance, there is also an optional excursion to some of the traditional town in the north of Santorini, including the town of Oia, home to the best caldera views and possibly the most beautiful sunsets in the world. Early in the evening you will return to the boat where you will spend the night. Overnight the boat will have made its way north to the islands of Paros and Antipoaros. On waking you will find yourself in the enchanting bay of Antiparos, with its deep blue waters and high hills surrounding it. You'll have the chance to have a swim in these clear, warm waters before taking off to the main island of Paros and the capital Parikia. 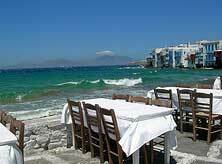 Parikia is the main town on Paros, a traditional island capital, busy with traders, tavernas and shops. The boat will the sail to the town of Naoussa on Paros's southern tip. The evening will give you a chance to dust off your dancing shoes with the Odyssey's famous Greek Night. This morning gives you the option to have the remarkable experience of visiting the archaeological site of Delos, former capital of the Cyclades Islands, now deserted for a millennium. Delos is well worth a visit for its amazing architecture and the state of preservation in which the ruins are in. It is truly a magical experience to visit this island, the traditional birthplace of the Gods Artemis and Apollo. After mooring at Delos you will be taken over to the port of Tourlos, a short distance away on this island of Mykonos, stopping on the way at one of Mykonos's more secluded bays for a swim. This island is very cosmopolitan, full of international boutiques, restaurants and clubs. Use your time here to enjoy, relax and dance the night way. Return to the boat at your leisure as it will dock in Mykonos for overnight. After a big day of exploring and enjoying the delights of Mykonos, after a final swim in the morning, the boat will make its way to Syros, to the north of Mykonos. This will be a lovely relaxing day, taking in swims in relaxing, sandy coves before heading in the main town of Syros for some time to explore the capital Ermoupoli. 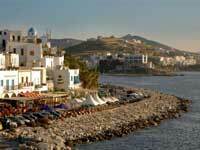 Syros has a very different feel to it than the other island you will have visited. 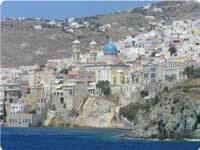 After sometime exploring this wonderful town you will return to the boat where you will spend the night in Syros port. This is your last full day on the boat and another relaxing day is planned. Leaving Syros you will make your way to Kythnos, where you will stop for a swim in the magical Kolones Bay. After this relaxing break the boat will make its way back to Marina Zea, stopping late afternoon at Cape Sounion, home to the Temple of Poseidon and one of the most magical sunsets seen on the Greek Mainland. Your final destination will be Marina Zea, where you will spend your final night, having dinner and saying farewell to your travelling companions. After breakfast you will disembark the boat. Please speak to us about arranging transfers to your next destination whether that be a hotel in Athens or back to the airport for your flight home.